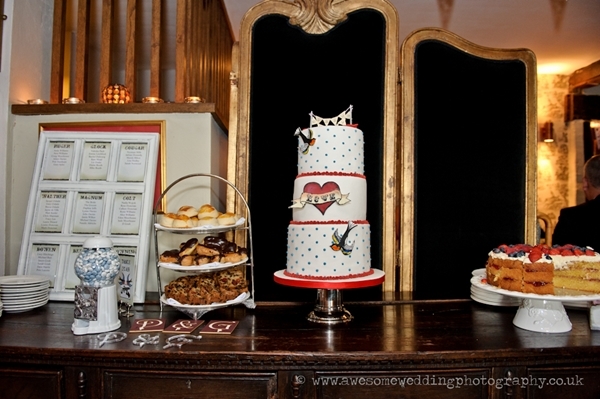 Another of my favourites wedding cakes of 2012 was this rockabilly jubilee cake. It was for the lovely Gwenda of The Vintage Floral Design Company, with whom I’d worked with on the bright dessert table shoot. Her cake fell through and so I was (gleefully) on hand to design the replacement. I knew her cake would be something special, and after going through the inspiration photos and description, we came up with the 3-tier rockabilly cake featuring the jubilee colours. 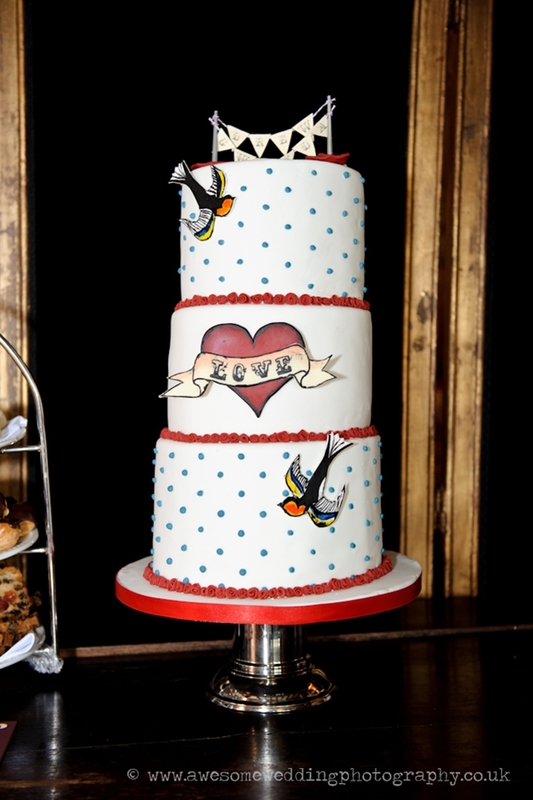 It a cute tattoo style cake that is pretty alternative, and I have a thing about rockabilly weddings. 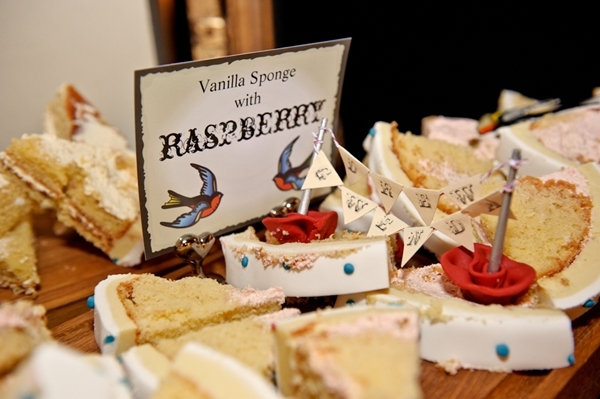 The swallows were taken from the stationary and the tattoo heart and scroll were hand-cut, hand-painted and layered. The cakes were all Vanilla bean, one tier with a Caramel Italian meringue buttercream, another with a Chocolate Italian meringue buttercream and the third with a Raspberry Italian meringue buttercream. How good does that sound? Turns out cake wasn’t the only thing that didn’t go to plan. To read the full story of how Gwenda and Drew had to pull the wedding together in just 4 weeks click here.